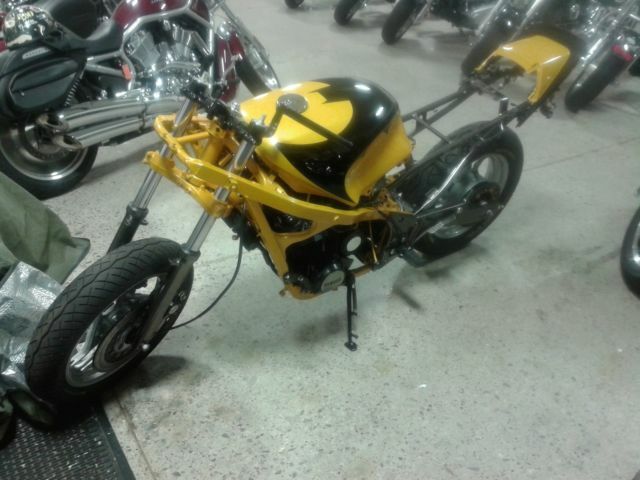 FOR ALL THE BAT FANS AND BIKERS WHO ARE BATS ABOUT BIKES AND BATS THIS IS YOUR AUCTION....!! 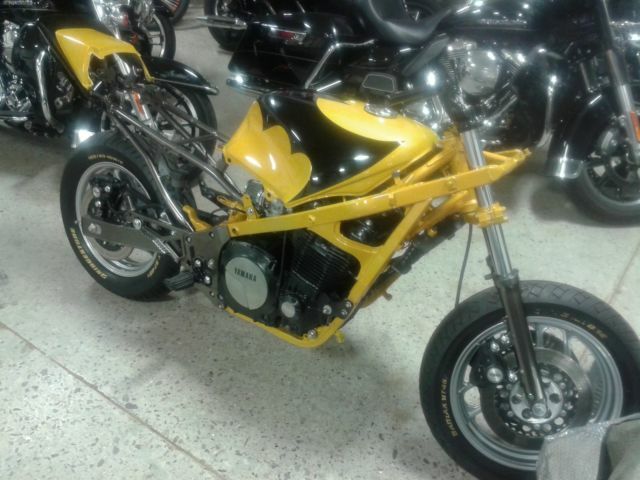 PLEASE NO THIS BIKE HAS NEVER BEEN ON THE ROAD SINCE ITS REBUILD/RESTORATION! 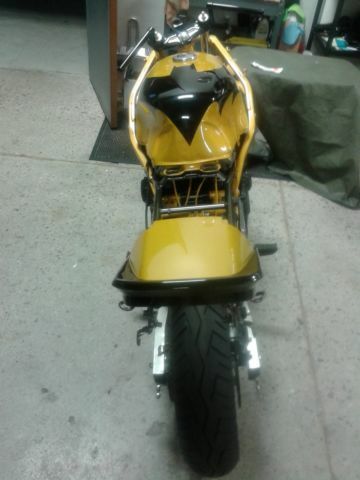 i AM THE DESIGNER / CUSTOMIZER OF THIS BAT-LIKE CYCLE. 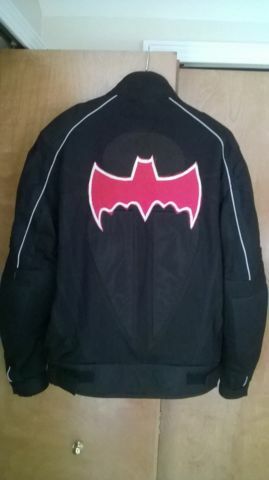 i AM IN NO WAY CONNECTED WITH DC COMICS, WB, 20TH CENTURY FOX, ABC TV OR ANYTHING BATMAN OR HOT WHEELS RELATED. THIS CYCLE IS NOT REPRESENTED AS SUCH. WHAT THIS IS IS AN AMAZING PROJECT/DREAM THAT I THOUGHT OF AND 95% COMPLETED BUT AM NO LONGER ABLE TO SEE TO ITS FINAL STAGE. IT MEANS THAT SOME LUCKY BAT-FAN OR RIDER IS GOING TO GET A 98% NEW VEHICLE FOR NOT ALOT OF COIN. WHEN I DESIGNED THIS BAT-LIKE CYCLE, I DESIGNED IT ON THE THOUGHT: WHAT IF IN THE 1960'S HOT WHEELS MADE IN REAL LIFE A TRIBUTE BIKE TO THE FAMOUS HOT RODS OF THE 60s AND THE BATMAN TV SHOW WHAT WOULD IT BE LIKE? BEING A HUGE FAN I THOUGHT IT WOULD BE FUN TO BRING THAT DREAM TO REALTY. WHAT YOU SEE IN THE PICTURES IS THAT REALITY. 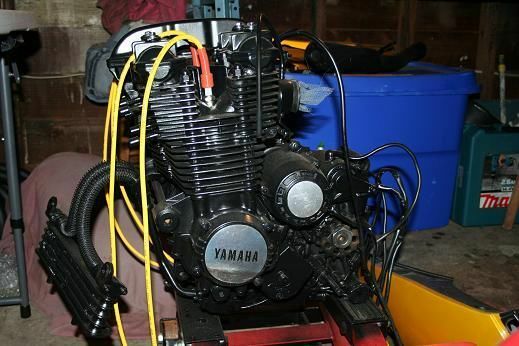 MY BASE WAS THE VENERABLE 1985 YAMAHA FJ 1100. IT ENGINE IN PERFECT RUNNING ORDER HAD 18K ORIGINAL MILES ON IT; AND IS HIGHLY SOUGHT AFTER IN THE 'LEGENDS' RACING CIRCUIT. 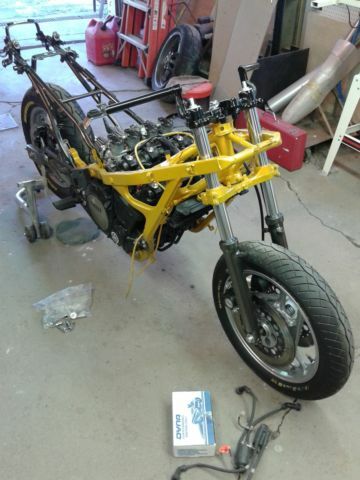 THE BIKE WAS COMPLETELY BROKEN DOWN TO NUTS N BOLTS AND BARE GARAGE FLOOR. 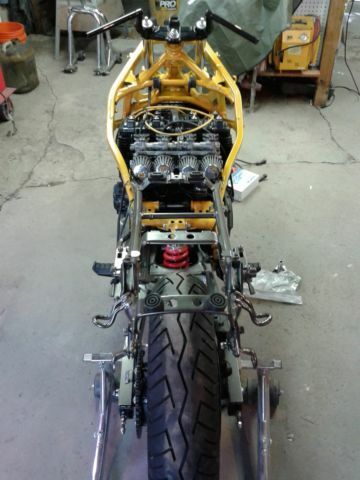 THE ENGINE WAS CLEANED AND PAINTED AND FITTED WITH 8MM ACCEL WIRES. 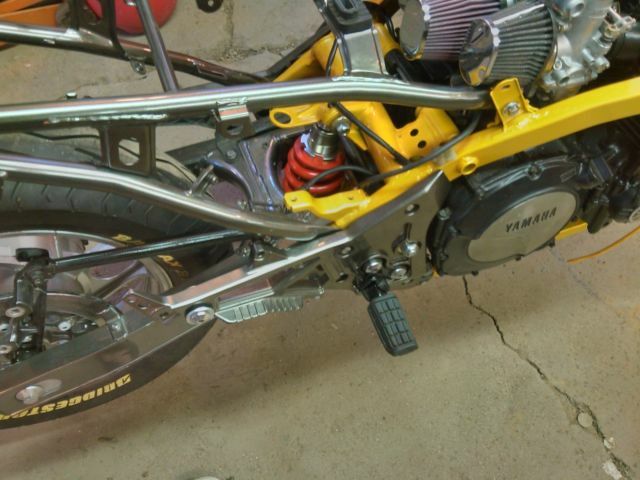 A MIKUNI RACE BANK WAS ADDED WITH DYNO JET STAGE 1 JETS AND A DYNO IGNITION. PERFORMANCE AIR AND OIL FILTERS WERE ADDED NEXT. WAITING FOR INSTALLATION IS A 'NEW' 17T JT FRONT SPROCKET. 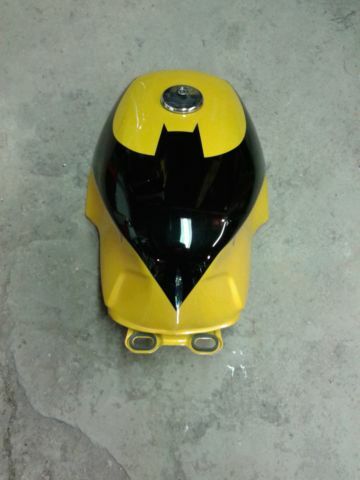 THE MAIN FRAME WAS TAKEN DOWN TO BASE METAL AND PRIMED, PAINTED AND CLEAR COATED USING HOUSE OF KOLOR PAINT, THEN BAKED. 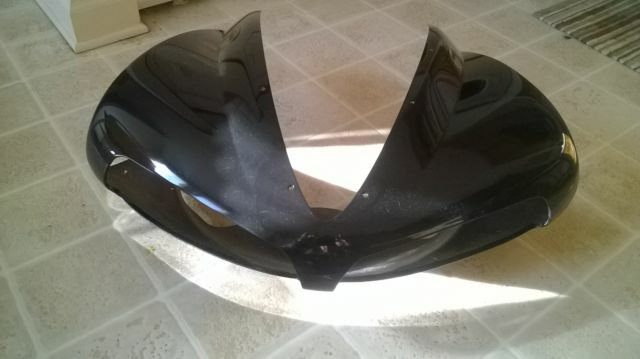 THE SUB FRAME WAS DONE IN THE SAME MANNER. 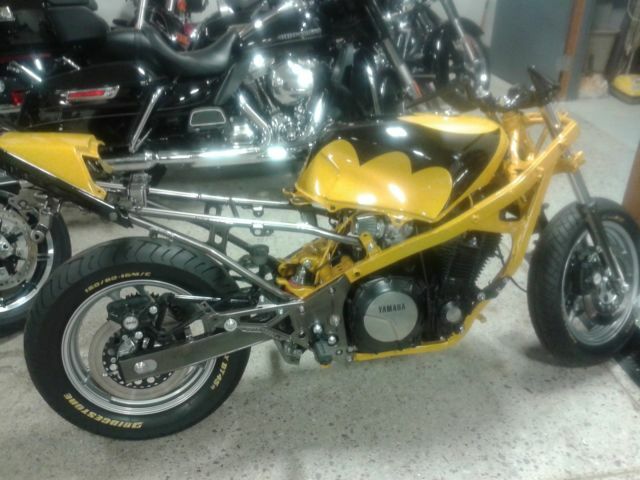 THE FRONT FORKS WERE REPLACED WITH 1987 YAMAHA FZR 1000R FORKS AND REBUILT WITH PROGRESSIVE SPRINGS, BEL RAY FLUID AND NEW SEALS WITH PAINTED AND BAKED ON LOWERS. 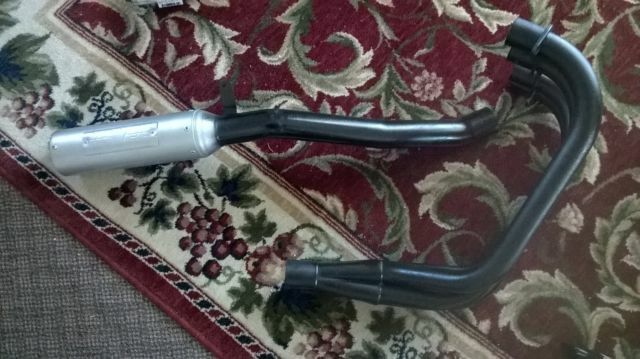 THE REAR SHOCK WAS CUSTOM-MADE BY HAIGON SPRINGS OF THE UK IN ENGLAND FOR THE BIKE. THE BIKE LOST ALL OF ITS PLASTIC AND HEAVINESS. THE RIMS ARE POWDER COATED IN HIGH METALLIC SILVER WITH NEW BATTALAX BT-45 PRO SPORT TIRES (HAND LETTERED NASCAR/HOT-ROD STYLE). 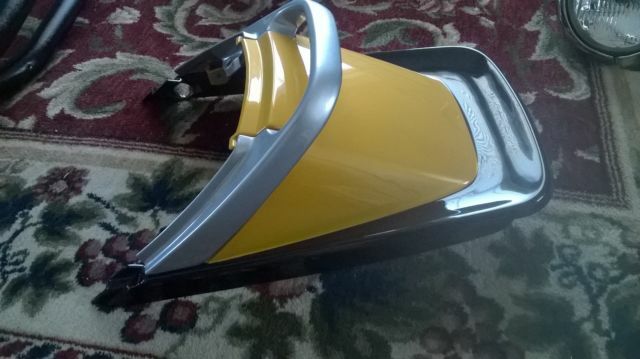 THE OTHER ANCILLARY PARTS HAVE BEEN POWDER COATED IN BLACK OR SILVER TO GIVE IT A FACTORY PERIOD LOOK. 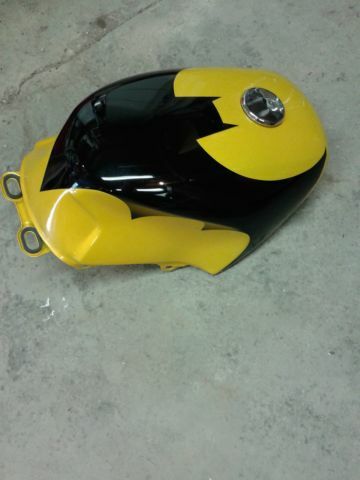 THE TANK IS DONE IN THE SAME MANNER WITH BAKED PAINT AND THE BAT ADDED; WITH THE FRONT SCOOP AND FENDER BLACK. 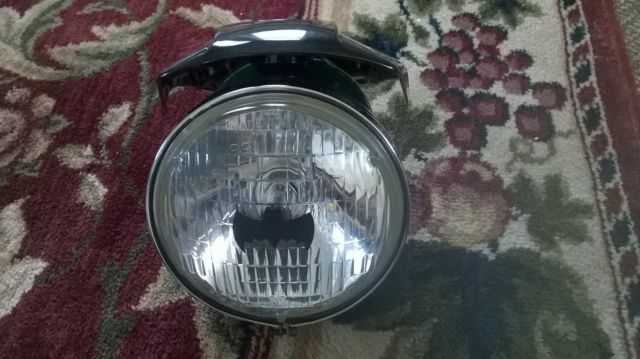 THE REAR COWL KEEPS THE ORIGINAL TAIL LIGHT FOR NOSTALGIA AND LOOK WHILE MAINTAINING BATTY LOOK. 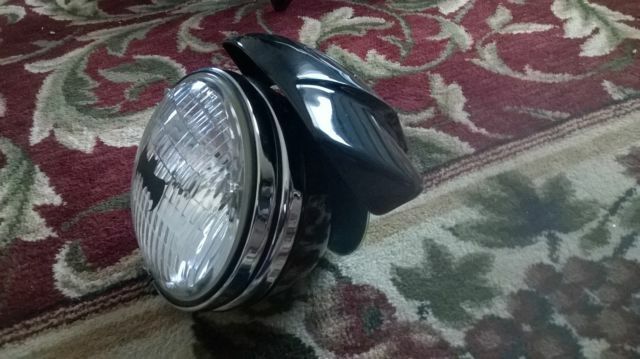 THE HEAD LIGHT IS FROM A 99 H-D SPORTY RESTORED AND POWDER COATED FOR LOOK AND CONTINUITY. 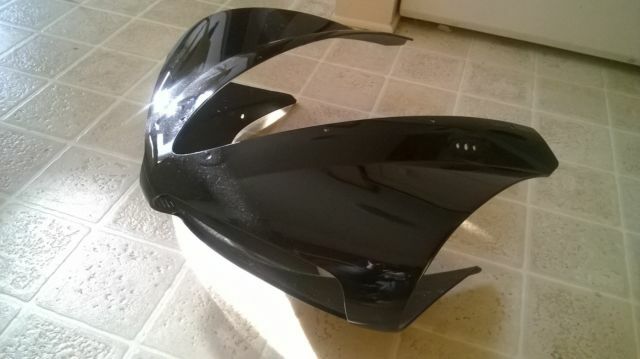 AND THE COVERING FAIRING FROM A BUELL 1125R, (ALSO PAINTED BLACK). 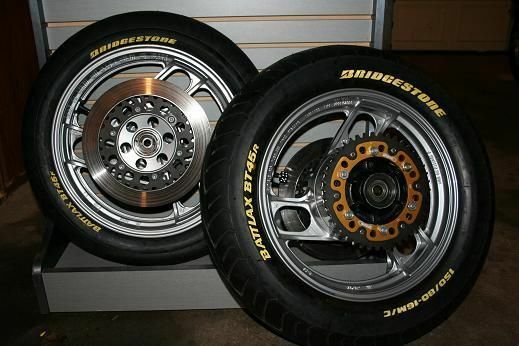 THE DRIVE CHAIN IS AN RK 520V GOLD SEALED ORING WITH A SUPERSPROX GOLD ANNODIZED ALUMINUM/METAL 52T SPROCKET. 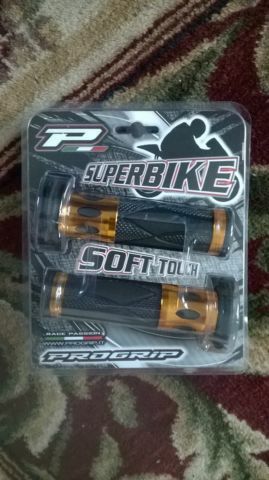 NEW PRO-GRIP GRIPS TO COMPLIMENT THE LOOK, BLACK 'Z-STYLE BARS' AND APRILIA MIRRORS ALL NEW. THE ELECTRICAL HARNESS IS PERFECT AND MARKETED, WITH MINI STALKS FOR THE WINKERS. 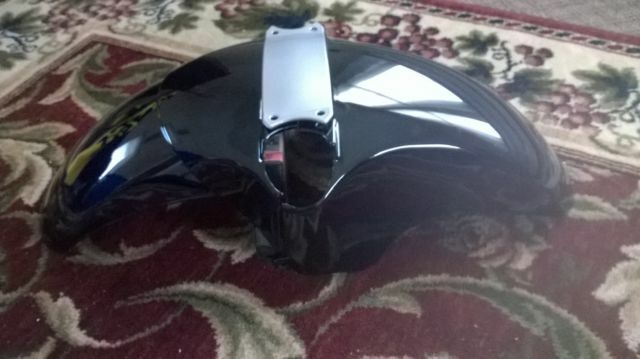 WHAT IS NEEDED IS: A LITHIUM-ION BATTERY (TO BE MOUNTED IN THE REAR COWL), A SIMPLE BLACK SPEEDO, A SEAT (i HAVE ONE I WILL INCLUDE..FABRICATION WILL BE NECESSARY), FINAL REASSEMBLY OF MINOR PARTS. 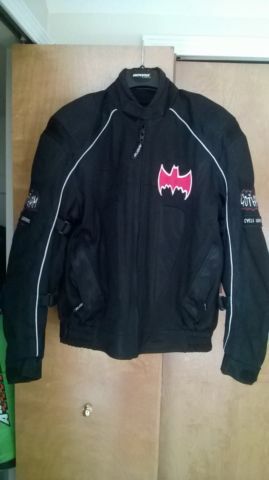 ALSO INCLUDED IS A CORDURA CYCLE JACKET IN BAT THEME BY NITRO WHICH IS OWNED BY VEGA (WITH ARMOR) ITS A GREAT JACKET..!! SO THATS IT IM SORRY TO SEE IT GO ITS PRETTY MUCH A NEW NIKE 90% OF THE BOLTS WERE REPLACED WITH NEW AND HIGHER GRADE AS WERE NEW BUSHINGS...YOU WONT FIND ONE LIKE THIS ANYWHERE. PAYMENT THROUGH PAYPAL ONLY UNLESS LOCAL, PAYMENT DUE AT AUCTIONS END. HAVE A GREAT DAY THANK YOU! !